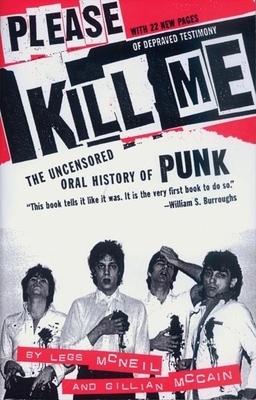 A Time Out and Daily News Top Ten Book of the Year upon its initial release, Please Kill Me is the first oral history of the most nihilist of all pop movements. Iggy Pop, Danny Fields, Dee Dee and Joey Ramone, Malcom McLaren, Jim Carroll, and scores of other famous and infamous punk figures lend their voices to this definitive account of that outrageous, explosive era. From its origins in the twilight years of Andy Warhol's New York reign to its last gasps as eighties corporate rock, the phenomenon known as punk is scrutinized, eulogized, and idealized by the people who were there and who made it happen.